Industrial robots had been hiding in the dark corners of production halls for quite some time, and few people believed that they would ever leave. Large, clumsy machines required a great deal of knowledge to be operated and programmed. 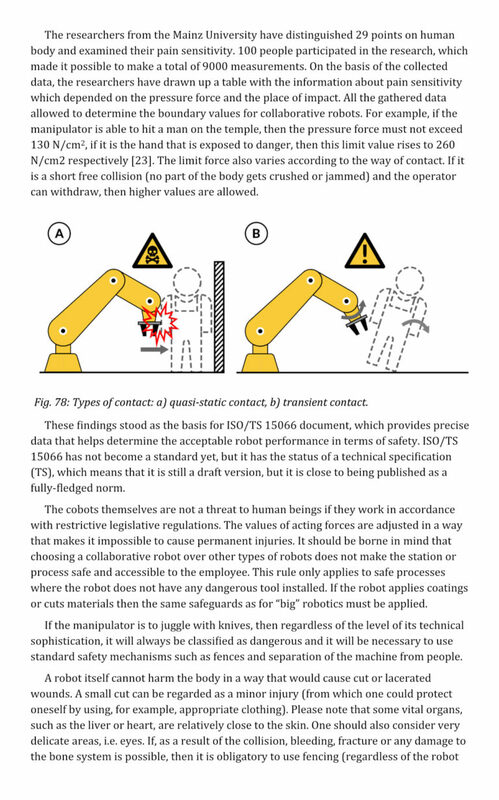 Fortunately enough, collaborative robots appeared on the market a few years ago, and they were modern, intuitive, and presented even better safety standards. They have been a trigger for a revolution that also made classic industrial robots more user-friendly. Today you no longer have to work in a production hall to encounter a robot. Now you can also find them at trade fairs and shop windows. They will accompany you even while doing everyday tasks at work, and ultimately they will also enter our homes. It’s a strongly held belief of mine that the programming of robots will soon become a skill that will be required for many of us. Each of them is time-consuming and expensive. 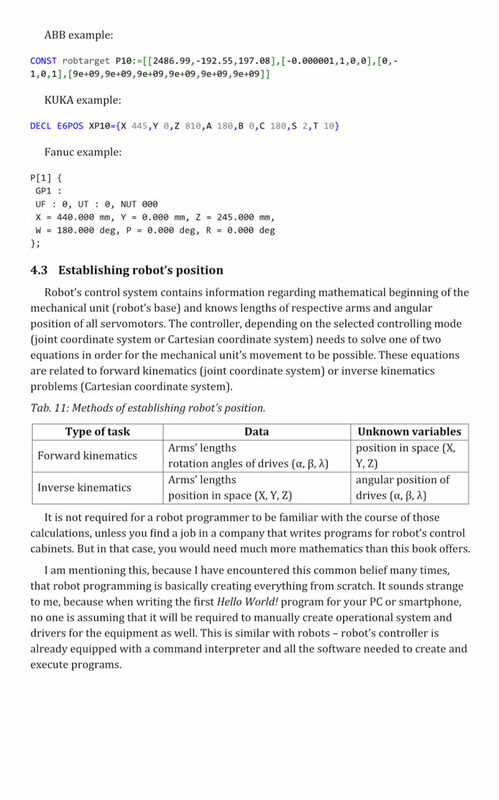 I decided to write this book in order to create a shortcut for the path needed to enter the world of robotics. You will learn everything about today’s industrial robotics in a concise and practical way. Enjoy! 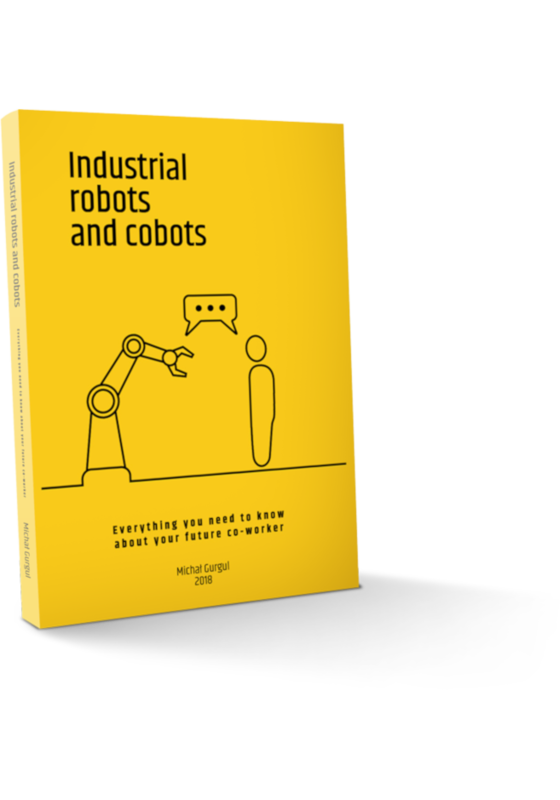 The book titled “Industrial robots & cobots: everything you need to know about your future co-worker” is a presentation of a decade of my experience in robotics that was gathered in one place. I am proud of its content, and I cordially invite you to browse through the topics discussed in the following chapters. 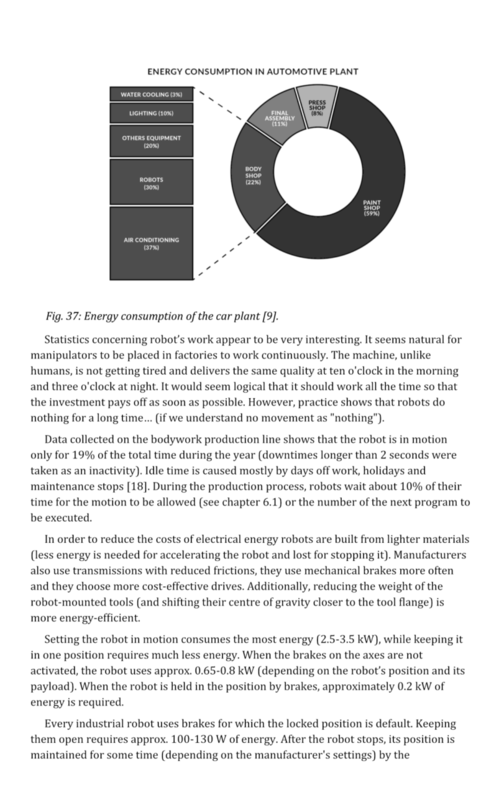 In my book, I explain all the important issues related to industrial robotics from the very beginning. 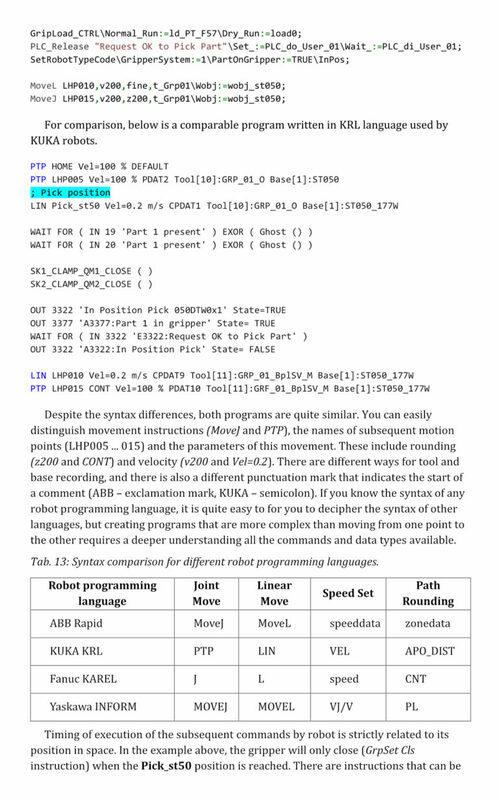 In order to learn how to program robots, you need to have a deep understanding of various areas. I will demonstrate the best production robotisation patterns used by the automotive sector; starting from choosing the right robot, through programming, and ending on advice on how to avoid costly breakdowns and downtime. It took me a decade to acquire this knowledge; you can get acquainted with it in a few evenings. Students – I explain how robots are built, I describe the principles of operation and how to move them. In the book, I avoid theoretical and mathematical descriptions. I prefer to show life stories, and then to describe problems on the basis of real experiences. 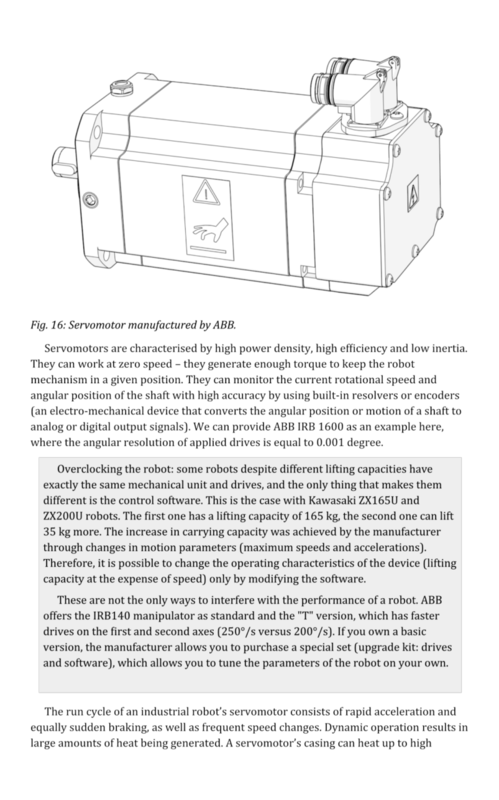 Don’t have access to an industrial robot? No problem. 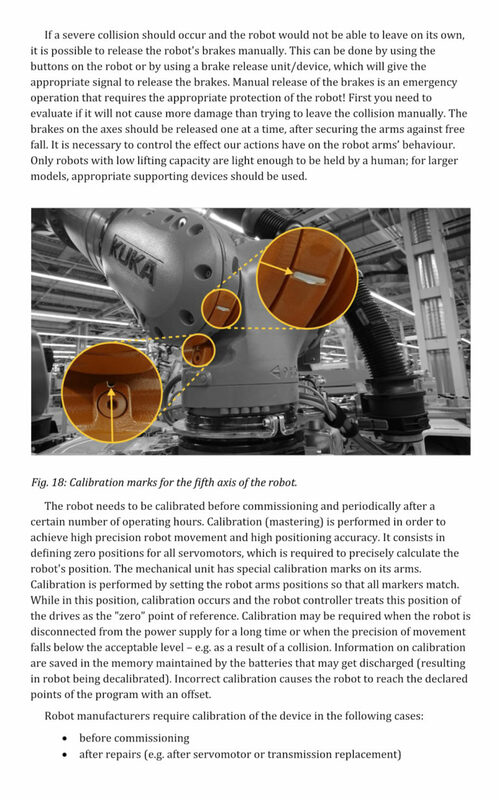 I’ll tell you which industrial robot simulators will allow you to test the content of the book. These are the same applications that are later used in commercial work. Working with robots is interesting, but it is available only for a few. Employers require experience, which, most of the time, can be gained through attending a very expensive course. This publication will show you good practices and help you avoid costly mistakes. Thanks to it, learning how to program a real robot will be faster and easier. Plant owners and managers – if rising labour costs made you think about robotisation, you surely know that it is a great solution if you want to improve product quality and keep costs under control. At the beginning, however, it requires considerable investments. 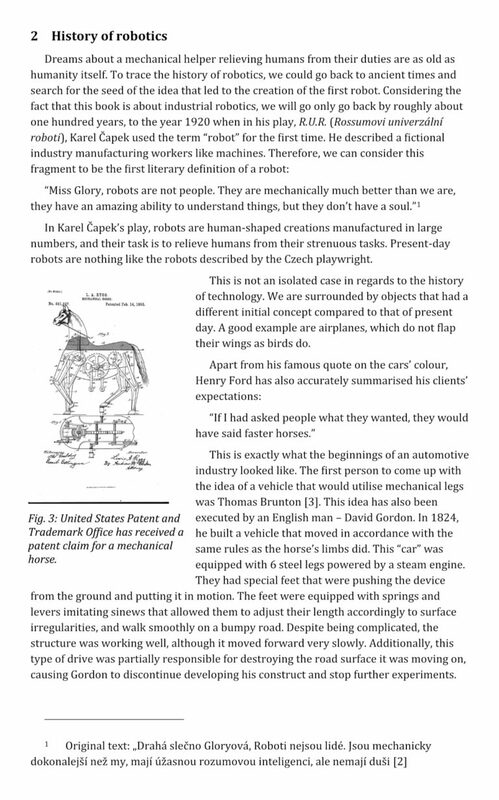 The book will tell you what types of robots are available and where they can be used. You will find out what requirements they meet and what assumptions have to be made in order for them to be efficient and safe. 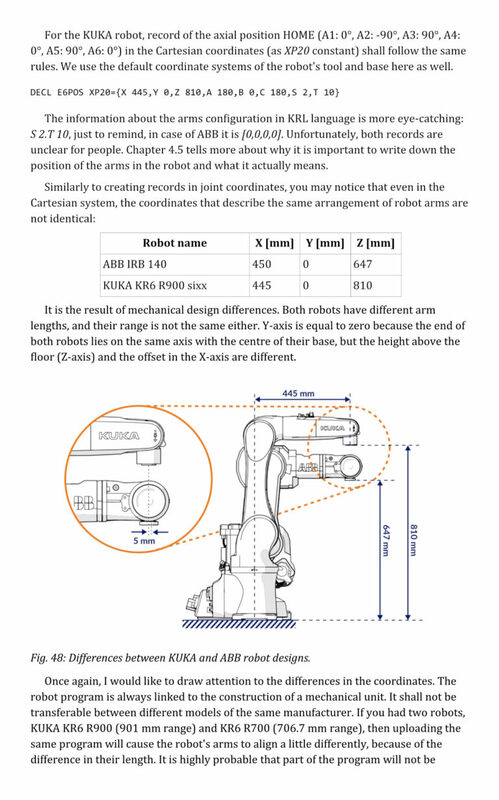 With this knowledge, it will be easier for you to find a common language with an industrial robot integrator. Good communication is key to the successful implementation of robots suiting your real needs. Or perhaps you are an employee of a factory where the first robot is being installed? Instead of being afraid of change, learn how to work safely with a new machine. Take advantage of this opportunity and gain qualifications that will give you a ticket to a better job perspective for the future. Instead of doing hard work, supervise the robot and make improvements to its work. The robots are very good at performing repetitive and accurate tasks, but their cognitive capabilities are still limited. Nowadays, more and more emphasis is placed on cooperation between robots and people. The position provided by the integrator is not always ideal. The opinion of an experienced employee who can find a common language with the robotic cell designers and robot programmers is invaluable. 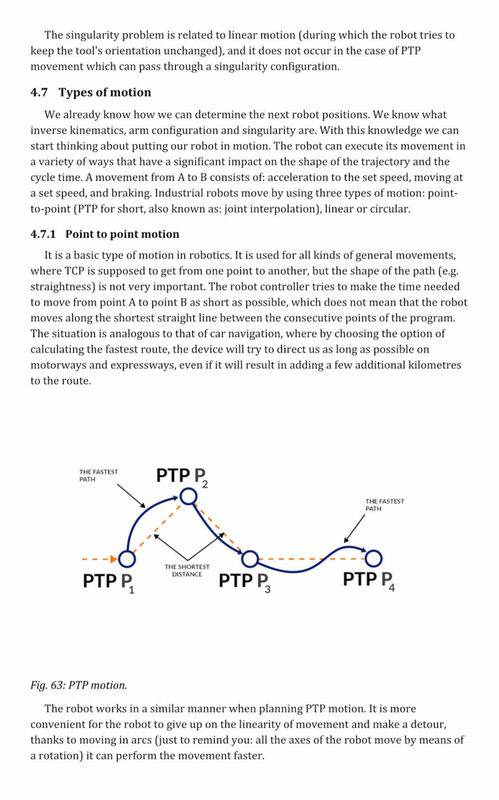 Comprehensively describing robotics, without needless theory. Only practical knowledge describing solutions to real-life problems in the world of cars and robots. 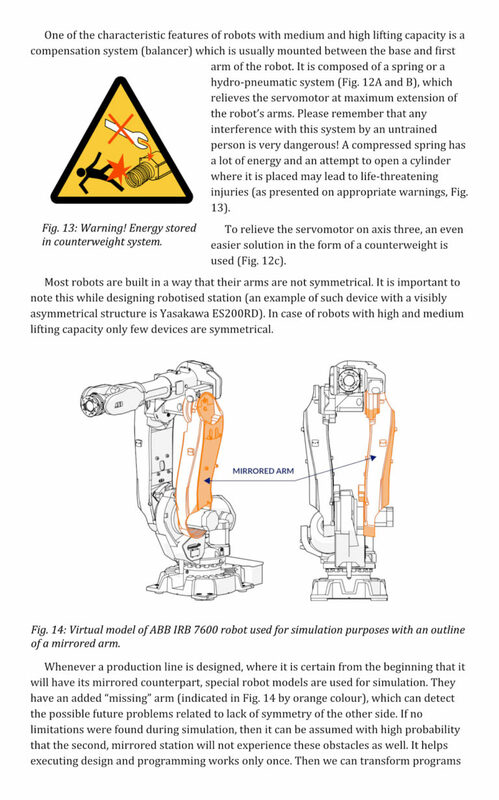 Clear, elaborate illustrations and photographs of robots will help you to better understand the content of the book. Together with the book, you gain access to a constantly growing list of films. They complement the text and allow you to see the robots in their real work environment. 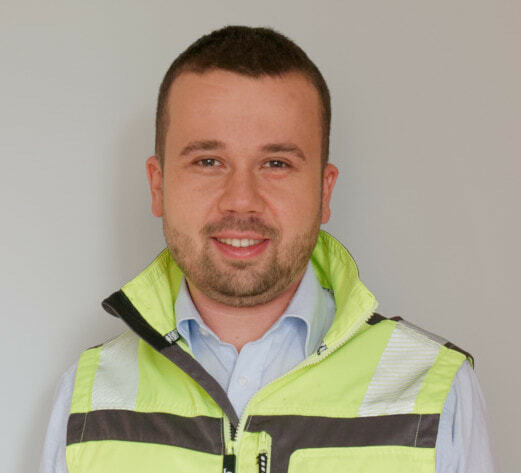 My name is Michał Gurgul, and I have been working with industrial robots for a decade now. ABB, Comau, Fanuc, KUKA, Yaskawa – throughout my professional career, I have programmed hundreds of robots. I carry out projects for large automotive concerns on a daily basis: from the early simulation of a virtual model, to offline programming, to the commissioning and start of production. I believe that each of us can take matters into their own hands and enjoy a rewarding, well-paid job. My goal is to introduce you to the world of modern technology, which will allow you to develop professionally in the years to come.